Happily, Vanessa has not lived up to these expectations, much to the delight of her Beagle, Charco! An only child, Charco reluctantly shares Vanessa with his dad, and clearly has her wrapped around his paws. After first considering a veterinary career, Vanessa fell in love with the idea of becoming a veterinary technician. 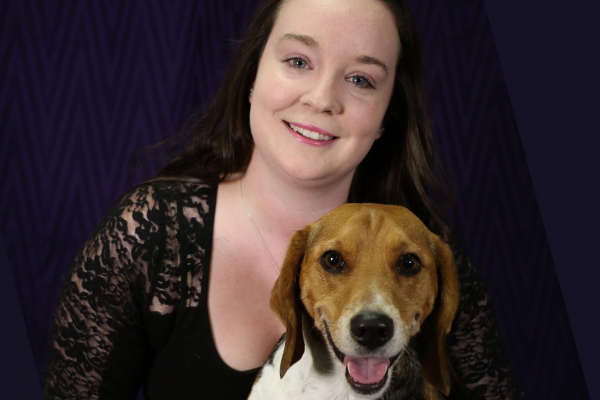 After completing a biology degree at MUN and spending two years in Nova Scotia, she is now back with us having completed more schooling and is a Registered Veterinary Technician. She has always loved cats and dogs but caring for baby moose has been a highlight for her. If you visit Salmonier Nature Park, you may catch a glimpse of now grown moose that she once looked after. We are very fortunate to have Vanessa as a team member at CBS Animal Hospital. She never shies away from a challenge and doesn’t mind getting her hands dirty. Most of all, her smile lights up the day!